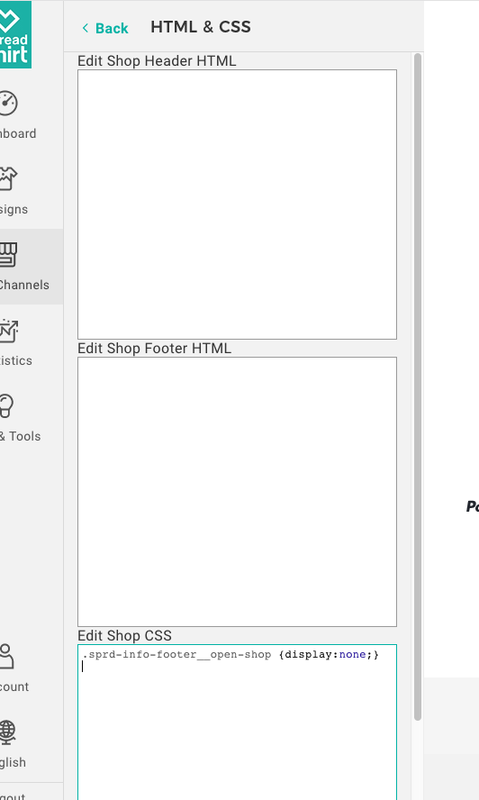 Is there any way to get rid of the “open your free shop” and other mentions of spreadshirt other than on the invoices as it is vital for returns etc? I am creating custom shops for different businesses etc, but it seems to eliminate my efforts and work to do so, if they market back to the end user to open their own shops etc eliminating my commissions for setting up the sites and advertising the service. Please help. Willing to pay someone to help me code or whatever I need to do as it is vital to my business plans. My ideas are stone clad to sell thousands of products for ss, so they should not mind me devoting as much time as I will to this.